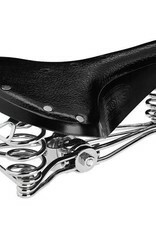 Back in the 1890s John Boultbee Brooks developed the first saddles featuring 3 springs, 2 at the rear and 1 at the front. The B73, introduced in the 1935 catalogue, is the only model still featuring this construction. The B73 is similar in shape and dimensions to B66, so it is appropriate for recreational or utility cycling in a fairly upright posture. 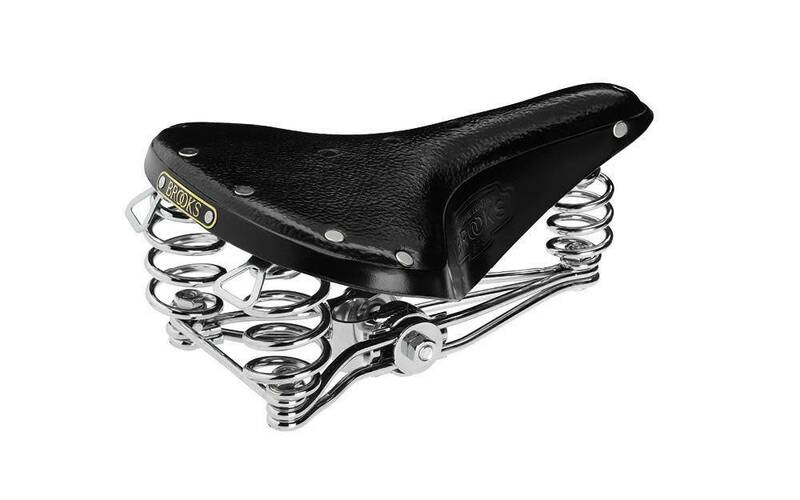 Please note that some cyclists comment that the B73 has more lateral motion than our other saddles, because of the extra front spring.